It is that time again! The sweet corn is ripe and harvested and we have more of it than ever before. Sean planted acres of the Sweetie 82, a non-GMO variety of yellow sweet corn, at the Hope Springs farm at the Cancer Treatment Centers of America. 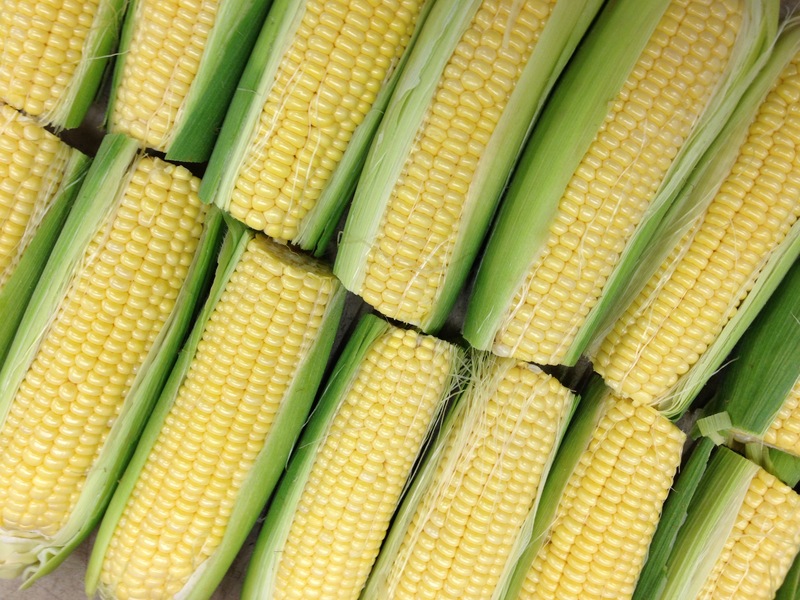 This variety is one of the sweetest varieties while still maintaining a wonderful corn flavor, but you have to wait until the temperatures reach over 100 degrees for it to be ready for harvest. We will have a good supply of it at our remaining Town and Country markets through the rest of June. Come see us on Wednesday. Our last market at Town and Country is Wednesday, June 25th, so you have three more weeks to enjoy this wonderful sweet corn. Although get there early, because you know something this good will go quickly!